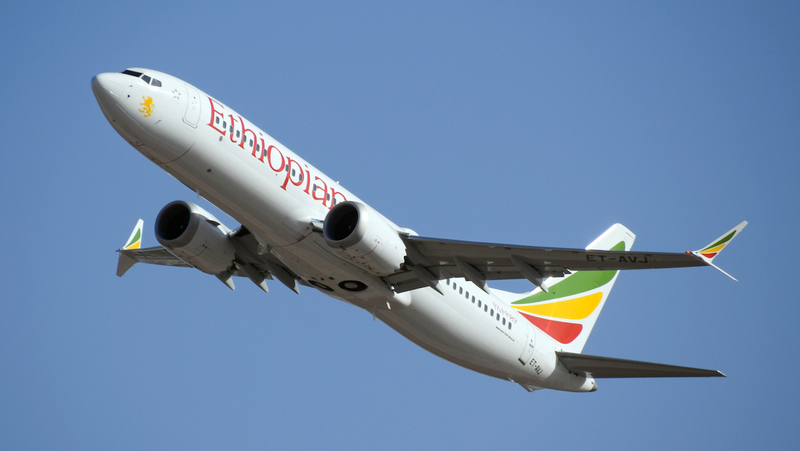 Ethiopian Airlines flight ET302 experienced repeated nose-down commands from the Boeing 737 MAX 8’s flight control system before it crashed shortly after takeoff on March 10 2019, a preliminary report into the accident says. The report from Ethiopia’s Aircraft Accident Investigation Bureau (AAIB) said the two pilots followed the prescribed checklist in response to flight control problems. However, they were unable to regain control of the aircraft in response to aircraft nose-down (AND) commands. All 157 people on board – two pilots, five cabin crew, one inflight security officer and 149 passengers – were killed. 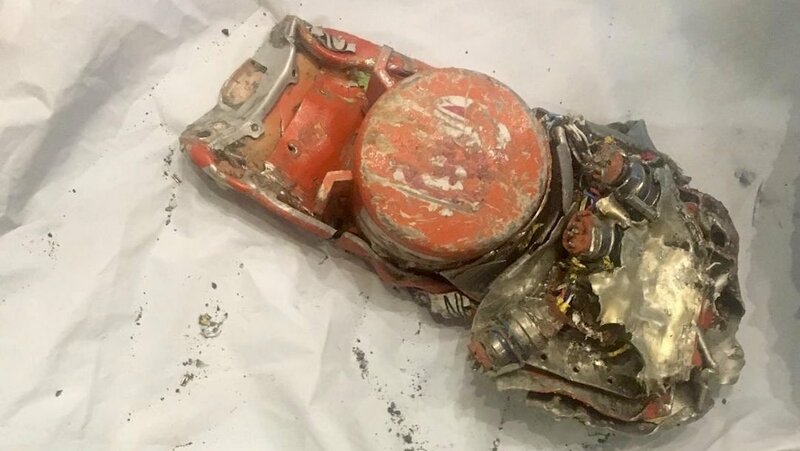 The AAIB preliminary report, published on Thursday (Ethiopian time), said the left and right recorded attack of angle (AOA) values deviated shortly after takeoff, based on retrieved data from the aircraft’s flight data recorder. The left AOA decreased to 11.1 degrees, then increased to 35.7 degrees, while the value of the right ADA indicated 14.94 degrees. Then, the left AOA value reached 74.5 degrees in 0.75 seconds, while the right AOA reached a maximum value of 15.3 degrees. “At this time, the left stick shaker activated and remained active until near the end of the recording,” the preliminary report said. “Also, the airspeed, altitude and flight director pitch bar values from the left side noted deviating from the corresponding right side values. Further, the flight then experienced “small amplitude roll oscillations accompanied by lateral acceleration, rudder oscillations and slight heading changes”. Later, the FDR recorded “an automatic aircraft nose down (AND) trim command four times without pilot’s input”. “As a result, three motions of the stabilizer trim were recorded. The FDR data also indicated that the crew utilized the electric manual trim to counter the automatic AND input,” the preliminary report said. The nose down pitch eventually reached 40 degrees. Ethiopian Airlines group chief executive Tewolde GebreMariam noted the report showed the pilots followed the recommended procedures in response to the repeated nose-down commands. “We are very proud of our pilots’ compliances to follow the emergency procedures and high level of professional performances in such extremely difficult situations,” GebreMariam said in a statement in response to the release of the preliminary report. The initial findings regarding what happened on ET302 indicated similarities with what occurred in October 2018, when a Lion Air 737 MAX 8 plunged into the Java Sea minutes after it departed Jakarta. The preliminary report into the Indonesian accident also noted the pilots had experienced flight control problems. Since the Lion Air accident, attention has focused on the 737 MAX’s Maneuvering Characteristics Augmentation System (MCAS), an anti-stall feature that is not present on older versions of the 737 platform. Boeing has been working on a software update for the MCAS since the Lion Air incident and expected to submit it to the United States Federal Aviation Administration (FAA) for review in the coming weeks. The software update added additional layers of protection from erroneous data out of the aircraft’s angle of attack (AOA) sensors, Boeing said. Boeing chief executive Dennis Muilenburg acknowledged that the MCAS was activated in response to erroneous angle of attack information in both the Ethiopian Airlines and Lion Air tragedies. “The history of our industry shows most accidents are caused by a chain of events,” Muilenburg said in a statement after the release of the AAIB preliminary report. “This again is the case here, and we know we can break one of those chain links in these two accidents. Muilenburg said the company had nearly completed the work on the software update, with the certification and implementation expected to take place in the weeks ahead. Further, the Boeing chief executive said he remained confident in the fundamental safety of the 737 MAX. “All who fly on it — the passengers, flight attendants and pilots, including our own families and friends — deserve our best,” Muilenburg said. The FAA said in a statement it was continuing to work with the investigation authorities towards getting a full understanding of all aspects of the accident. “As we learn more about the accident and findings become available, we will take appropriate action,” the FAA said. The preliminary report can be read on the AAIB website. was the aircraft on a climb or was the aircraft flying straight and level ? was the aircraft on automatic pilot or was the aircraft flown manully ? how much physical force required to pull out of a dive ? at what altitude was the aircraft when it first experienced the MCAS pitch down ? Mario, I don’t think you have grasped just how much pitch force is generated by the entire horizontal stabiliser acting as essentially a slow acting elevator. It has a much greater surface area than the stab’s elevator panel. What I’m saying is you can pull back as hard as you like on the yolk but when the stab trim is trimming opposite, then the larger stab will essentially force the plane into a dive. “When the MAX returns to the skies with the software changes to the MCAS function, it will be among the safest airplanes ever to fly” Muilenburg said. And just who will be willing to test out that hypothesis? I think the 737MAX has maxed out. Time to pull the pin on that upgrade.